Fans of Doug LaMalfa (R-Richvale) are feeling heat from Audrey Denney in the District 1 Congressional race and turning to juvenile tactics. 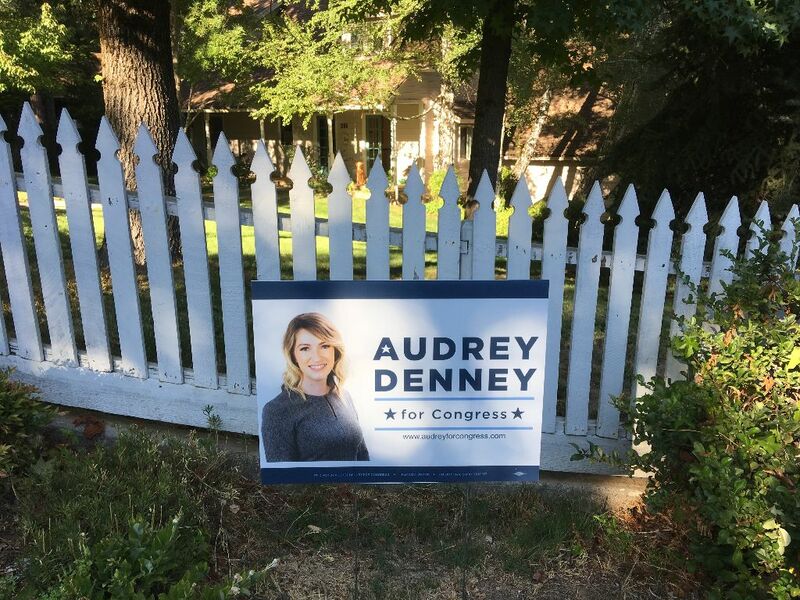 Last night, some creeps stole the Audrey Denney sign from our house in Nevada City — but left the metal stake behind. I joked to my wife that we were targeted even after eating Richvale-grown rice (Lundberg Family Farms) with our beef and veggie stir fry for dinner. That’s LaMalfa territory. 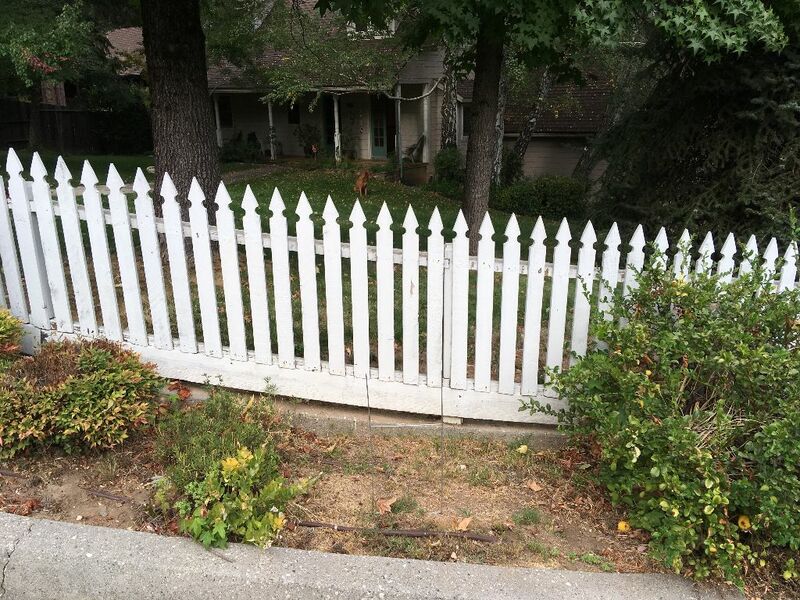 A neighbor said the sign at her house was stolen too. We filed a police report. And I ordered five more signs. It follows on the heels of defacing Denney campaign signs in Nevada County. It’s a safe bet Denny will win in Nevada County as our county turns more “blue” from “red” (neck). How about mounting a wildlife camera on a nearby tree? Have the camera mounted somewhere hard to find, or hard to reach, but trained on the Denney sign. Then, after the next theft, your report here could include a video of the perp. I saw a sign along side a road that I’m not sure if it blew over or someone tossed it. Very tempting to put back up at that site. BTW, how did you order the 5 signs? Jane and I want one, but — looking at Audrey Denney’s web page — we couldn’t figure out how to order one. Thx. They confirmed there has been a run on signs because of the ones that were stolen. Thanks Jeff! We’ll do our best to get her sign. Local Republicans are having a hard time coming to grips with the fact that they are no longer have as much control over Nevada County as they once did. Apparently, like their idol, DJ trump, winning is all that matters even if it involves questionable and/or immoral, if not illegal, subterfuge. The comments sections in the Union’s editorial pages is testimony to the panic and desperation that appears to be setting in as the trump cartel is exposed for the grifters that they are. The responses from the right keep getting angrier and more vindictive as time goes on. Two Audrey Denny missing from our properties. Checking our cameras. What’s next, Goat’s Head Soup again?